“SMB feat. 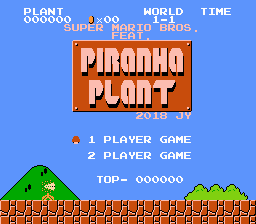 Piranha Plant” is as implied by the title, a hack that replaces the Mario Bros. with playable Piranha Plants. The hack comes in two different versions in the form of patches labelled “plant_a” and “plant_b”. 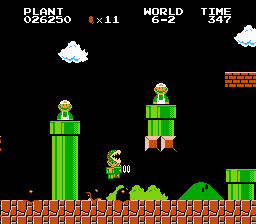 “plant_a” has Piranha Plant playable and fixes a few minor sprite/palette errors seen in the original game, but nothing more than that. 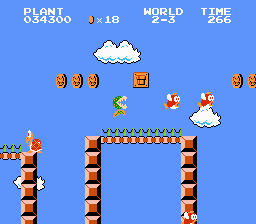 “plant_b” has the same content as “plant_a”, but now with further modifications; some common world elements such as blocks, items and even non-playable characters have been altered, now referencing the titular Piranha Plant. Please note that all screenshots shown here are of the “plant_b” patch. 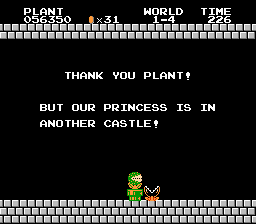 I must admit that this hack is neat, especially Luigi, who is now the replacement of the plant enemy. Love the role-change. I also love the way you made the playable plant sprites. Nice job!